Starting in the 3rd grade, kids in the SF public schools can spend up to 7 weeks of class time preparing for and taking standardized tests! These tests are no longer "high stakes" but they do replace valuable instruction time and are not the tests used by the teacher to evaluate or teach your child. Most teachers do not find the majority of these standardized tests to be helpful in educating your kids, because the scores don't give teachers details on what questions were missed or what skills might need more practice. Except for the reading assessments given throughout the year (which teachers use to assign books appropriate for the child's reading level), these tests are an expensive waste of time that only serve the interests of the testing companies. Please print them out for yourself and for other parents in your classroom who are interested! In particular, parents should consider opting ot of the Smarter Balanced Assessment Consortium (SBAC) and the Interim District Assessments (IDA) tests, which are given in the spring. Teachers don't even get the scores on these tests until the end of the year, so taking these tests is of no benefit at all to the students. You can ask your school to provide an appropriate curriculum for your kids while the others are taking tests. If enough kids in a single grade opt out, we will have more sway to get a classroom at each grade level to continue with regular instruction! Videos from the event are now posted below! 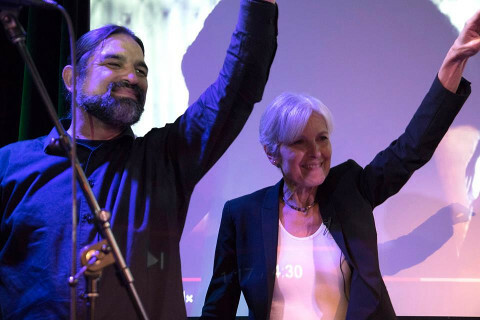 An evening of Revolutionary Poetry, Music, and Politics with Green Party Presidential Candidate, Dr. Jill Stein and Candidate for SF Board of Supervisors District 11, Francisco Herrera at The Chapel, 777 Valencia St., SF CA. Local (and some not-so-local) luminaries will light up The Chapel stage October 6, 2016 from 6-10pm (Doors at 5pm). Both Dr. Jill Stein and Francisco Herrera will speak. People of ALL AGES are welcome! Food and drink will be available for purchase. This event is wheelchair accessible. 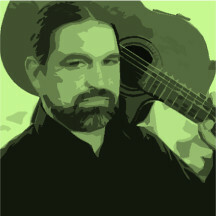 Greens endorse Francisco Herrera for Mayor! The SF Green Party has endorsed Francisco Herrera for Mayor in 2015! "The difference between myself and other candidates is that the value I place in community voices over the desires of a handful of wealthy elite. My campaign is committed to building affordable housing, community policing, funding community needs, and protecting the integrity of our diverse neighborhoods. As a community activist connected with movements across San Francisco, I know that there are solutions to the challenges we face if we open City Hall to the people." Julia Carrie Wong covered a campaign event for the SF Weekly. You can read more about Francisco's platform here. Francisco needs donations to appear on the ballot, since the Green Party does not automatically get a ballot line in California elections. Please donate to his campaign before June 9 to help him pay his filing fee, so that voters will have a Green choice this November! Help Greens run for office in 2014! This January and February, we have 8 weeks to gather signatures from 10,000 voters in order for Green Party candidates for statewide office to be allowed to appear on the June election ballot. More info (and signature forms for the statewide candidates that you can print out yourself) are on the Green Party of California's website. See updates below on additional debates. As explained on Democracy Now, the Democratic and Republican parties have conspired for years to shut all other voices out of their Budweiser sponsored-Presidential debates. Democracy Now! expanded the 2nd Presidential debate in a 2 hour special, including Jill Stein of the Green Party, Constitution Party nominee Virgil Goode, and Justice Party candidate Rocky Anderson. Jill Stein was especially impressive after having been arrested (along with Cheri Honkala) and handcuffed to a chair for 8 hours the night before by thugs hired by the Democratic and Republican parties. Jill Stein debated Gary Johnson of the Libertarian Party (who skipped the first 2 debates on Democracy Now!) one on one, in a forum sponsored by the Independent Voter Network. There were some technical issues with this one, but it's worth watching! Democracy Now! also expanded the third Presidential debate in a 3.5 hour special, including Jill Stein of the Green Party and Justice Party candidate Rocky Anderson (Gary Johnson skipped this one as well). A panel of Bay Area guests also provided comments. The Green Party's Vice Presidential nominee Cheri Honkala recently participated in an election panel discussion (not a debate) with other activists hosted by Davey D on the KPFA Morning Mix show. On Sunday, November 4, former Green Party presidential nominee Ralph Nader will host a debate between Jill Stein of the Green Party, Constitution Party nominee Virgil Goode, Justice Party candidate Rocky Anderson, and Gary Johnson of the Libertarian Party. The event should be broadcast online; check this page for updates. The last debate before the election will take place on Monday, November 5. Libertarian Party candidate Gov. Gary Johnson and the Green Party’s Jill Stein will debate live from RT’s Washington, DC studio. More details are posted here about how to watch this on TV or online. Jill Stein campaign makes history! The Green Party's presidential nominee, Dr. Jill Stein, has become the first Green Party member in history to qualify for federal matching funds! It means that some of our tax dollars will be diverted away from drone warfare and crony capitalism, towards a movement for real Democracy in the United States. Dr. Stein recently released a statement thanking her supporters and discussing the campaign's next steps. (Correction to a prior version: The Nader 2000 campaign also qualified for matching funds, as reported by Ballot Access News).